Condensation can be a problem for both your roof and attic. 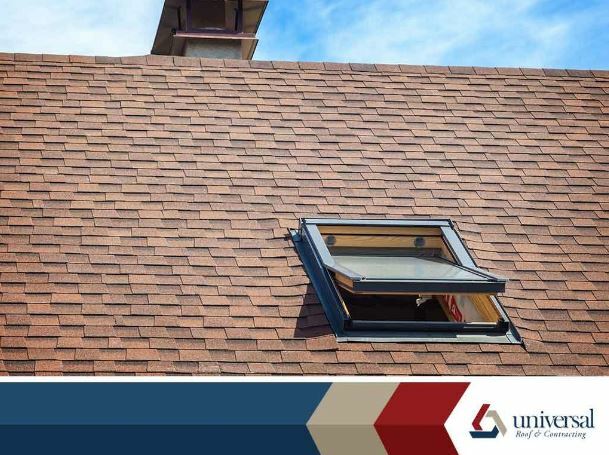 In this blog, Universal Roof and Contracting takes an in-depth look at roof and attic condensation, its effects and how it should be addressed without resorting to an unplanned roof replacement. Indoor condensation is almost always caused by high indoor humidity levels. Condensation forming on the windows can be seen as a good thing as it means that your window seals are working. However, it also means that the unwanted moisture isn’t being effectively vented out. Common daily activities like bathing, cooking and washing the laundry as well as the presence of plants or a decorative indoor fountain can contribute to your indoor humidity levels. If you already have humidity problems, the first thing to do is open all windows in the house on a clear day and regularly do so for at least 15 minutes a day. This helps flush out other kinds of indoor air pollutants. Making sure your HVAC system is properly sized as well as using range hoods, exhaust fans and other active exhaust systems can also help. Attic humidity can be controlled in two ways. Ridge vents are small vents installed along the length of the ridges at the roof’s peak. Since warm, moist air tends to rise, the peak is the perfect place to position them. Cool, fresh air then comes in through the intake vents at the eaves. The other way is to have exhaust fans installed on the roof. Solar-powered units have dropped in price in the last few years. Since they don’t use power from the grid and require little maintenance, they can easily keep your attic condensation-free. To learn more about our roofing services, including tile roof repair, call Universal Roof and Contracting today at (407) 278-2686. You can also fill out our contact form to schedule a free inspection and estimate. We have provided Florida homeowners with quality products, top-notch services and solid warranties for over 50 years. We serve Orlando, FL, and surrounding areas.